Freedom Fence & Deck offers a variety of fencing material to keep animals pests from tearing up your garden! Summer is on its way! While warm, sunny, and relaxing, it is similarly intoxicating for many wild animal pests. Mating season is upon us! You will soon look out your window on a hot day to find a herd of deer munching on those basil plants you’ve worked so hard to maintain. To make matters worse, gangs of raccoons will start to infest your garbage cans and litter your garden with trash. Say goodbye to all those well-practiced gardening techniques. Luckily, implementing specific fencing around the perimeter of your lawn will keep animal pests out and those herbs you’ve been primping and pruning alive and well. What Animal Pests Are You Trying to Keep Out? When implementing a fence in your yard for keeping animal pests out, you need to think about the specific types of animals you want away from your garden. All animal pests have different physical capabilities. Deer and rabbits can jump very high. Gophers, chipmunks, or moles use burrowing techniques to enter your property. Squirrels and raccoons are advanced climbers and can use overhanging branches to get in your yard. You need to brainstorm, discover which animals give you the most trouble, and construct the dynamics of your fence accordingly. Deer and Rabbits– Because these critters can jump, your fence needs to be tall. It will help if it is slanted at an angle towards the direction they usually come. Many homeowners incorporate an 8-to-10 foot fence that is slanted at a 45-degree angle. If your fence is angled, it will appear taller, and these animal pests will think twice about jumping it. 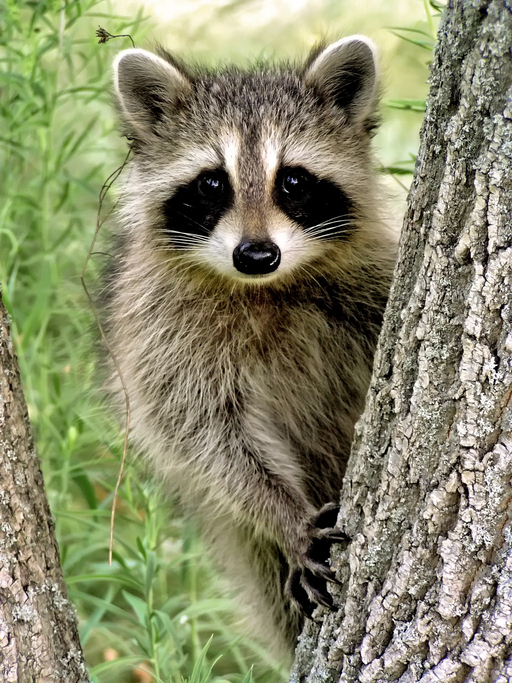 Raccoons, Opossums, and Woodchucks-These animal pests can burrow and climb. What a fantastic combination! Fortunately, you can install fencing with a floppy top and a digging barrier. If these guys are primarily giving you a heachache, installing a 4-ft fence with the top 18 inches unattached will work best. The animal pest will fall backward while attempting to scale the loose 18 inches of fencing material. To keep them from burrowing, build a 90-degree apron of fencing material underground, so there is a physical barrier beneath the earth. Gophers, Chipmunks, and moles-These lovely creatures primarily burrow underground. You can easily follow the same rules for raccoons, opossums, and woodchucks by implementing that 90-degree apron beneath your fence. Another option is to build small wire-mesh cages around your prized garden. Dig a 2-3 ft hole in the planting area and line the sides and bottom of your garden with wire mesh. This will create an additional barrier if these animal pests get past your fencing apron. Damage to your yard is quite costly. You don’t want your newly planted, landscaped, tastefully designed garden to be useless. Make sure your yard is protected before you decide to get creative. Spending all that time and money to make your yard beautiful is a waste of time if animal pests are going to tear it up. Mating season means higher populations of these guys are going to wreak havoc on your property if you aren’t ready. Implementing specific fencing to keep animal pests out will keep your garden safe and your wallet safer. Freedom Fence and Home has provided the highest quality fence and decking services to the people of Maryland for more than 40 years. Please take a few moments to view our gallery. We proudly serve the Baltimore County area and our highly trained crews have successfully completed hundreds of composite decking projects throughout Maryland. As many of our customers can attest our quality and customer service exceeds our competitors. If you have any questions about Sunrooms, please contact Freedom Fence and Home by calling 443-271-6841 or visit our website. You can also follow us on Facebook and Twitter! This entry was posted on Tuesday, May 17th, 2016	at 9:57 am	. Both comments and pings are currently closed.